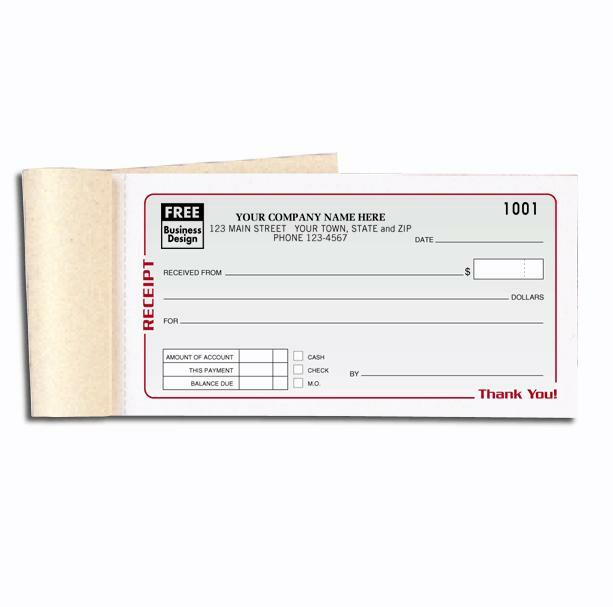 Receipt books printed on carbonless paper for your business, retail shop, stores and for sales professionals. Save up to 50% on recipts. Order online now and save! 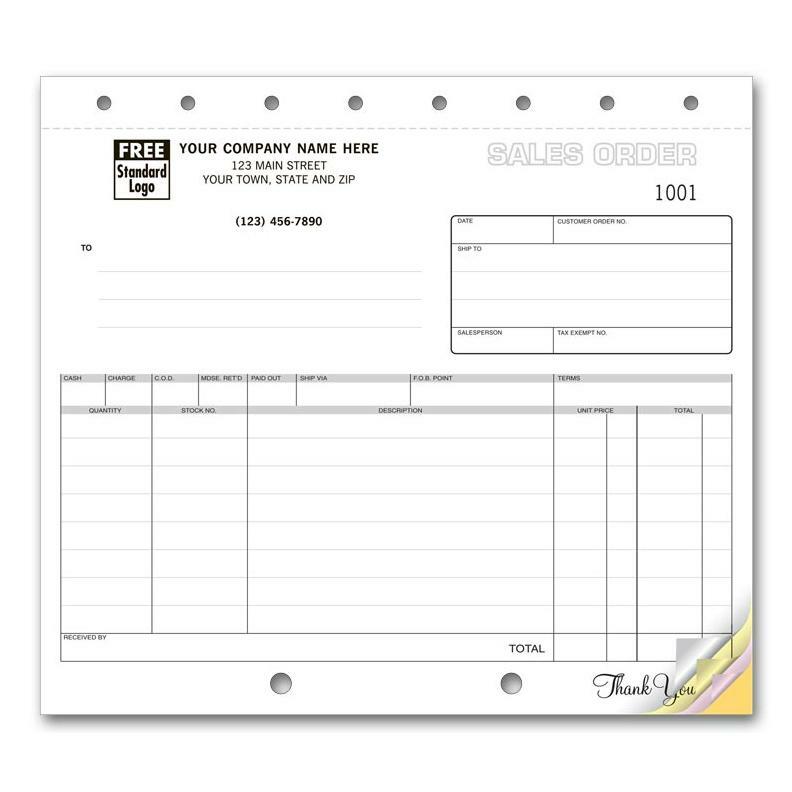 Our business receipt book make it easy for you to record sales or give a receipt for services rendered. We use standard ink colors like black, blue and green. Forms are printed on 20lb carbonless paper. 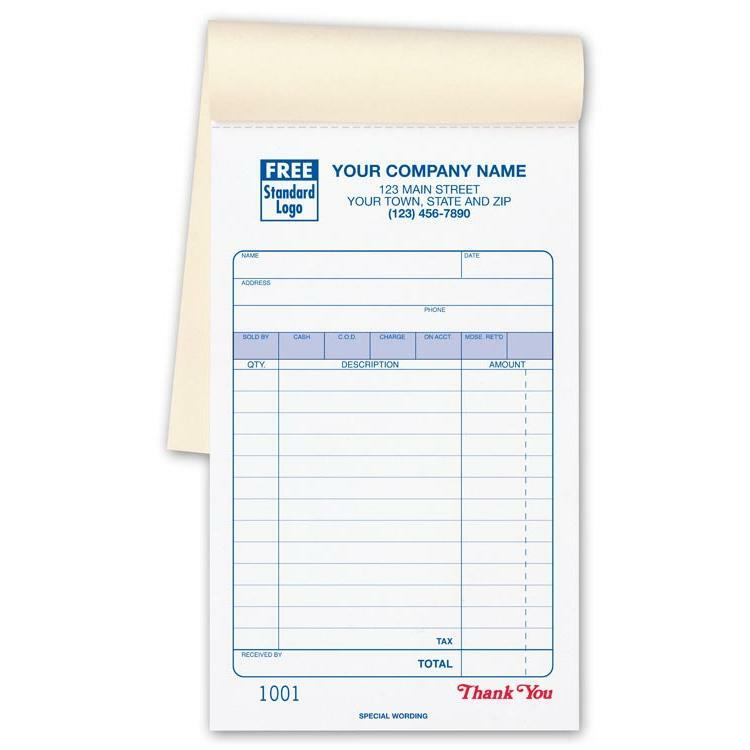 There are other options for folding, numbering, perforations etc. Our standard production time is 3 to 5 days. 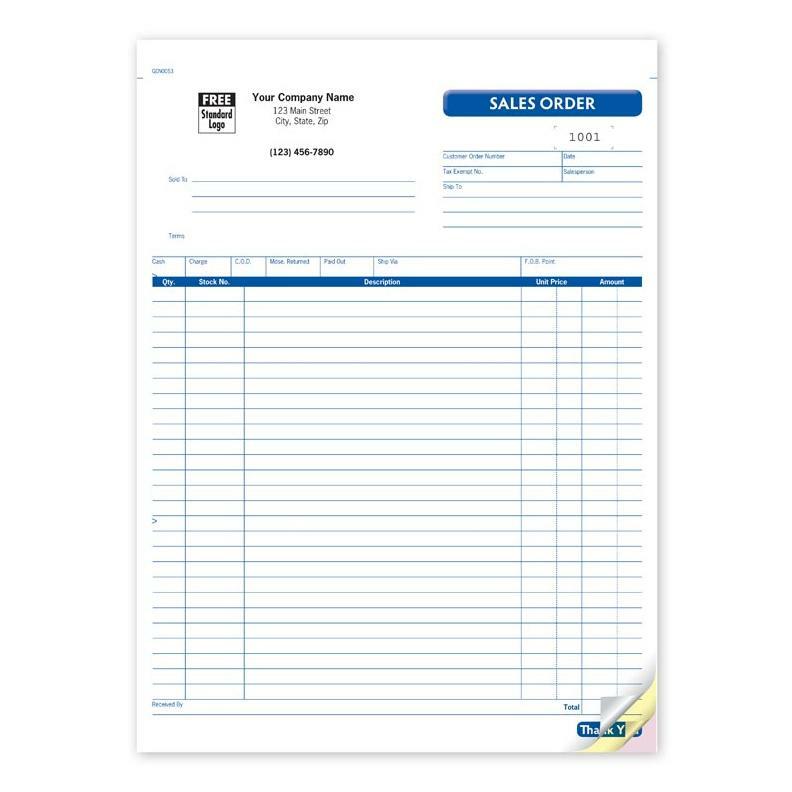 Select from one our pre-designed business receipt book template. Contact us for other options for custom printing. Phone 1-800-492-1218.